danad | all galleries >> Galleries >> Ukiyo-e > Le Couchant. Distant. Wonderful light and color here. The light, mist and mood is simply superb, Daniel.V!!! agree with Walter.This one has something special.V. 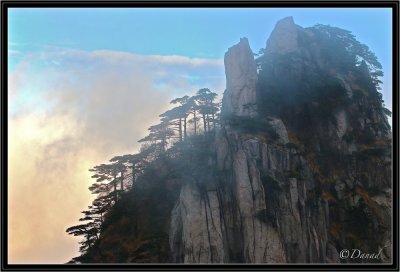 Love these fantastical rock formations and trees in the misty light. Excellent capture of this scene. Such a beautiful scene, with the mist making for a marvelous mood. V.
Pure magic! Quite possibly my favorite so far. "V"